Generally speaking, the average American Ph.D. is less capable and less broadly educated in their field than the average German Dr.rer.nat. Specialization occurs earlier in the US, the time is shorter and many more people of only medium talent pursue a doctorate. Most Ph.D.'s become college teachers with minimal research tasks; such teaching jobs are much rarer in Germany. US PhDs (frame of reference : archaeology) are more nearly technical specialists than people at the summit with an overview of their field and the way it relates to other fields. Which makes their generalizations decidedly parochial. It is understood President Putin personally requested the report. He instinctively mistrusts the vaccine agenda and wants the report to investigate the state of play regarding vaccines, Big Pharma, and Western governments, in order to formulate a solid, direct response that will stand his people in good stead for the future. According to the report, Western governments are working hand in hand with corporations, using money hungry scientists and educational bodies as tools, to pull the wool over the eyes of the largely complacent, unsuspecting public. But the public aren’t just being conned, they are slowly but surely being enslaved. This is the masterplan. You must fight this. Because once you are enslaved, you can’t just realise you don’t like it anymore and decide to free yourself. This kind of enslavement is a state of being. It’s what you are on a cellular level. When your children are barely human, psychologically-altered bots, their nerve cells and synapses failing to connect, and their neurodevelopmental processes dulled to the point of restricting them to sub-human level repetitive grunts and gormless stares, what are you going to do then? The elite have won. You and your descendants are now officially slave class, no better than battery chickens, and will be used for whatever purpose the elite deem suitable for you. This is a prison you can’t escape from. The discovery of gravity waves has been announced. Again. In this exposé I will first analyze the mainstream announcements. I will then look at the actual scientific paper, showing you how to read it. I have to say this for them: these people never quit. If they get caught in one spectacular lie, they just wait a year and a half and come back with another one. I guess they are relying on the short memory of most people, but when I heard this announcement of gravity waves today, I said to myself, “Didn't they already do this? Didn't we get a huge announcement of gravity waves in early 2014? Didn't Alan Guth win a million-dollar prize for that?” In fact, he did. He—along with Alexei Starobinsky and Andre Linde—won the Kavli Prize in July 2014, so 3 million was allegedly paid out. According to mainstream stories at the time, the proximate cause of these prizes was the discovery of gravity waves by BICEP2 on March 17, 2014. Of course all those stories from 2014 have been rewritten, downplaying the claim of gravity waves and playing up the alleged discovery of cosmic inflation. However, within a few months (after the publication of my crushing paper of March 18) they had to admit this announcement was not only horribly premature, it was flat wrong. To save face, they claimed that dust in the Milky Way exactly mimicked the signature of gravity waves. This despite having claimed in the peer-reviewed papers in March that they had ruled that out and claiming a positive detection at sigma 7. A sigma of 7 indicated that BICEP2 only admitted a .0000000001% chance they were wrong. That's 1 in 10 billion. Funny, then, that they had to admit they were wrong only a couple of months later. Strange how it always works out that way, whether they are claiming faster-than-light detections, dark matter detections, or whatever . . . Gravity waves can't be a vindication of General Relativity as they claim, since in General Relativity gravity isn't a force: it is just curved math. Beyond that, according to Einstein, GR isn't mediated by particles and has no background. In GR there is no ether, remember? So what are gravity waves supposed to be made of? What is waving? We get no sensible answer to that to this day. Physics today is nothing but a huge pile of ever-growing nonsense . . .
Not long ago, Neon Nettle reported on the epidemic of doctors being murdered, most of which were in Florida, U.S. The scientists all shared a common trait, they had all discovered that nagalase enzyme protein was being added to vaccines which were then administrated to humans. Nagalese is what prevents vitamin D from being produced in the body, which is the body’s main defence to naturally kill cancer cells. This prevents the body from utilizing the Vitamin D necessary to fight cancer and prevent autism. Nagalese disables the immune system. It’s also known to cause Type 2 Diabetes. So basically…they weren’t killing these doctors because they had found the cure to cancer or were successfully treating autism…they’re killing them because these Dr’s had been researching and had the evidence that the vaccines they’re injecting our precious children with are CAUSING our current cancer and autism crisis!! I finally got him on a secured line..and so a full hour into the show they were finally back on the air and connected to Dr. Broer and the first thing he said was “I am in no way suicidal.” He was super nervous holding onto this info…afraid he’d be taken out Hastings style before he got a chance to say it publicly. So listen to this short clip of him breaking the story. It’s a 19 min clip but the most important info is heard within the first 10 min. It is def some of the most important news I’ve ever heard. And it needs to go viral. "We've got to ride this global warming issue. Even if the theory of global warming is wrong, we will be doing the right thing in terms of economic and environmental policy." "The data doesn't matter. We're not basing our recommendations on the data. We're basing them on the climate models." "The models are convenient fictions that provide something very useful." Dr. Judy Mikovits, PhD is a scientist , she has made mistakes , including a big one leading to a retraction . What is your point ? 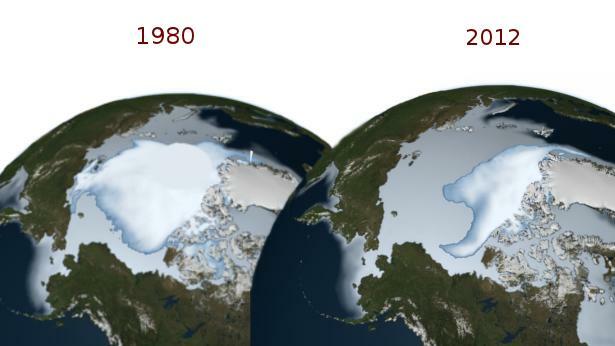 Forbes wrote: Updated data from NASA satellite instruments reveal the Earth’s polar ice caps have not receded at all since the satellite instruments began measuring the ice caps in 1979. Since the end of 2012, moreover, total polar ice extent has largely remained above the post-1979 average. The updated data contradict one of the most frequently asserted global warming claims – that global warming is causing the polar ice caps to recede. Yes....why should the journal of corporate scumbags be doubted when you have photo evidence to back it up? PS. If you think those images are photographs, you're insane. I think those vaccines infected your brain. It's worth clicking on some of the buttons at this web site . Hilarious ,when it isn't scary to think punters actually read and buy it . I'm sure it is. Some of them out Onion TheOnion! The latest vaccine tragedy to strike has killed two babies in La Pimienta, Mexico and sent 37 more to the hospital with serious reactions to toxic vaccine additives. “…14 children are in serious condition, 22 are stable and one is in critical condition,” the Chiapas Health Secretariat said in a statement via Latino.FoxNews.com. What’s especially alarming is that only 52 children were vaccinated in all, meaning that 75% of those receiving the vaccines are now either dead or hospitalized. The vaccines were administered by the Mexican Social Security Institute, known as IMSS. The IMSS confirmed the deadly reactions occurred after children received injections of vaccines for tuberculosis, rotavirus and hepatitis B — the same viral strains targeted by vaccines routinely administered to children in the United States. Just recently the UK government agreed to pay $90 million to victims of the swine flu vaccine. That vaccine caused permanent brain damage to over 800 children across Europe. The truth is that vaccines regularly harm and even kill innocent children, most likely because of the toxic chemical adjuvants and preservatives they still contain. One of the more recent publicized examples of corruption concerns China, where the country fined the UK pharmaceuticals firm GlaxoSmithKline (GSK) a staggering $490m when the company was found guilty of bribery. Meanwhile in Argentina, the company paid out $240,000 after it was found to be experimenting on human beings during vaccine trials, which lead to numerous deaths. Moreover, the firm dumped more that 45 liters of concentrated live polio into the water at a Belgium treatment plant, potentially endangering swimmers and fishermen, along with individuals working at the facility. The scandal in China is far from an isolated case. Similar claims against the corporation have been filed in Poland, Romania, United Arab Emirates, Lebanon, Jordan, Syria and Iraq. Even more disturbing is a corrupt GSK vaccine trial in Argentina which resulted in the death of 14 infants.